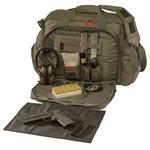 Our Active Shooter Bag is perfect for any situation where you may need to carry extra ammo at a moments notice or when you need to keep a lower profile but still need to be prepared. 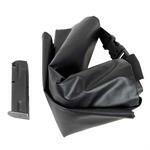 Our First Responder Bag is designed to hold the supplies you need to react to emergency medical situations. Inside the bag are dividers and elastic loops to organize supplies so they will be where you need them. From the battlefield to the college campus, our Tactical Laptop Carrier is designed to protect your laptop computer from damage. 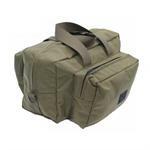 The Small Range Bag is still the same great design as it's two larger cousins, only smaller. 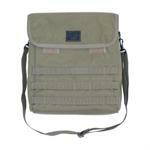 Great for a day at the range, to carry medical supplies, or even as a shaving kit bag. 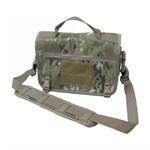 The Tactical Tailor Weapon Case is designed to protect your M4, M16, or M14 rifle from rain, mud, and sand. 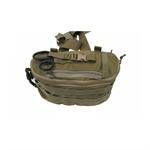 This tactical case rolls to fit the rifle, then secures at the top with fastex.